Here’s a fantastically professional interview Liis did with Daniel Ionson 1.5 years ago. I could never top this, so I’m reblogging for all of you to enjoy! 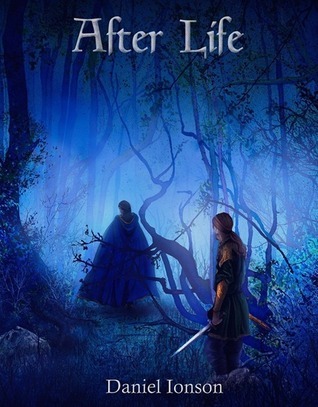 You can find my review of After Life here. And don’t forget to enter the giveaway this week. There will be TWO lucky winners this time! Daniel was very kind to send me his book “After Life” in return for a review. Right now, though, you can find out more about the author as Daniel agreed to an interview. With no further “white noise” from me- enjoy! 1. How did the idea for “After Life” form? It’s a murky mix, some of which I cannot reveal without spoiling some of the plot. At the heart of it, I’d say it was spending a lot of time walking in the moonlit woods of my home region. This was certainly an “ambiance-based” plot-seed. I’ve always loved all three of its core elements (medieval fantasy/mystery/horror), so the tale grew organically in my cranium for years before writing any of it. Dutch book reviewer who reviews in English. Grammar nazis beware!! I like brownies. And chamomile tea.